9-15 years. 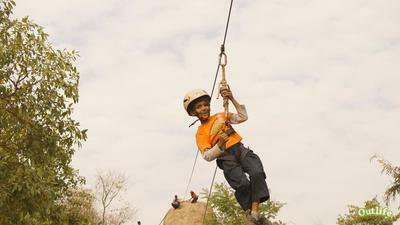 We have over a decade of expertise and 100% safety record in instilling, courage and confidence in children through safe outdoor and experiential education practices. Having worked with more 10,000 children from different parts of India, we continue to achieve high levels of safety, compassion, care, fun and education. We are highly committed to provide meaningful and life changing experiences through outdoor and experiential education methodologies in our camps. 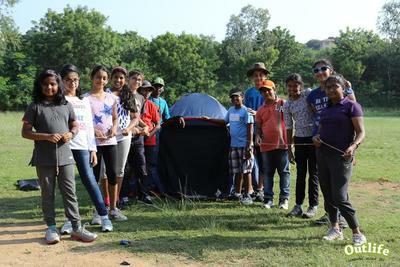 5 Days 4 nights "Outdoor & Adventure Summer Camp" is being Organised by Outlife at Hyderabad. 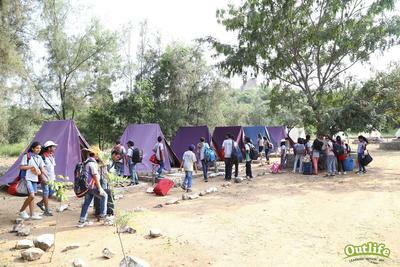 ​The camp is being conducted for Children of Age Group of 9 to 15 years (Boys and Girls). Develop Self Reliance, independence, Courage, Spirit of Adventure in the participants. 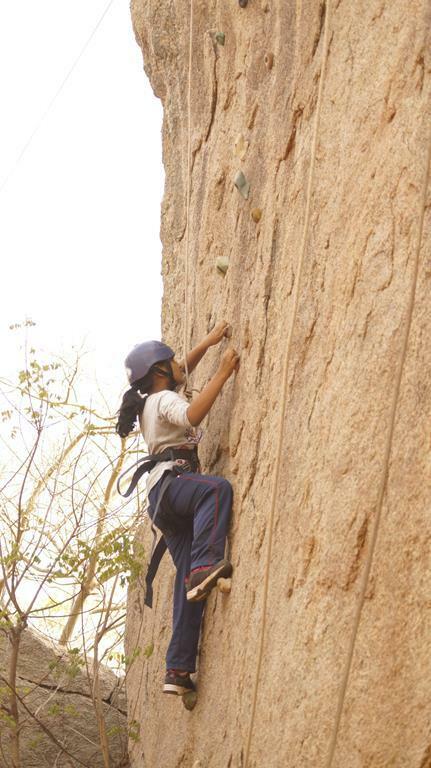 Outdoors, Adventure and camping Experiences comprise of challenging experiences, both physical and emotional, which lead to new awareness, sensitivity and understanding in the students. In an outdoor camp, learners set out to explore the unknown as a team and in the process rediscover and re-connect with self and the world around developing Intrapersonal, interpersonal, ekistic and ecosystemic relationships. • To generate a sense of belongingness and interconnectedness amongst children and nature. • To rekindle the child-nature bond and zeal towards natural surroundings. • To sow love for learning from natural world and tend the wild within each child. • To enhance intellectual curiosity and compassion towards all life forms. • To propel their learning, observing, listening, and feeling skills. • To encourage children to learn, relearn and unlearn facets about nature that once dominated our surroundings as they rediscover themselves. • To succor them to explore and discover the magnificence of nature in different perspectives and delighted by the connections with and within nature. The Outdoor Summer Camp gives children the opportunity to connect with the natural world and learn all the outdoor skills they have been missing all these years. The Children will learn practical outdoor and life skills turning them into confident, creative and self-reliant individuals. 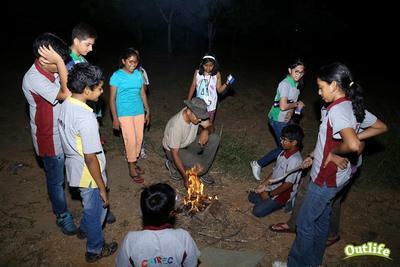 Activities include Nature and Adventure based Learning, Experiential Learning actvities, Bushcraft, Cultural and Personality Development Activities. Special Care is being taken to keep all kids hydrated with ample cool water and fruits. we also avoid afternoon Heat by keeping the kids indoors in a cool room from noon to 4 pm. Indoor Activities and Rest time is given in the afternoons. Stay: - Clean Camping tents with Hygienic Toilets and Bathrooms. Food: Locally sourced food and freshly cooked at the camp kitchen and served in a buffet style. Mineral Water for drinking and cooking. The Camp is under the supervision of the following Team. Diyanat Ali, Outdoor and Experiential Educator, Outbound Trainer and Founder of Great Hyderabad Adventure Club and Outlife. 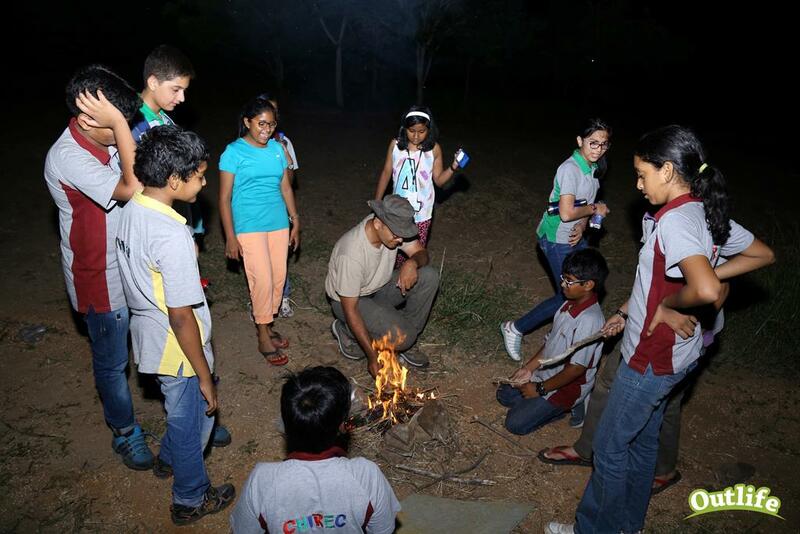 Ravi Kumar - Adventure Instructor and Outdoor Educator. Shariq Mohd - Adventure Instructor. Expertise: Outlife staff has been conducting outdoor education for a decade and employs the most competent educators and instructors in India to facilitate its camps. 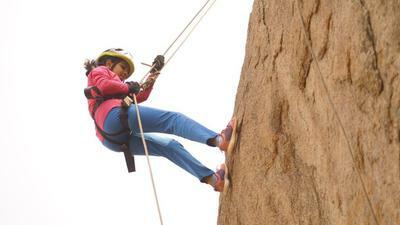 Safety: Safety is given utmost priority on all our adventure events and we are proud of our safety standards. Our strict safety code of conduct, the state-of-the-art equipment and our qualified instructors ensure and maintain our safety record. Equipment: We have state-of-the-art equipment including UIAA certified climbing equipment, helmets and life jackets. Sustainability: Our events lay tremendous emphasis on sustainability and encourage the students to be sensitive to environment, people and places they visit. Food: we give top priority to hygiene while preparing the delicious food served in camp. It is generally a combination of Indian and Continental Veg food. Fresh Fruits and vegetables are obtained locally. We provide mineral water in the tents. Camp First Aid Responder: We ensure presence of a camp First Aid Responder with equipped First Aid and Medicines at the camp and a standby vehicle to handle emergencies of any kind.